I am a new user of xpenology. I have installed version DSM 6.1.3-15152 Update 4 on my old laptop. The internal drive is an old 120 Gb hard drive. I attached 2 USB hard drives - 500 Gb and 320 Gb. Today I installed photo station and all of my pictures on my USB1 volume went to the internal drive. How can I solve this problem. I don't want all of my files to be copied to my internal drive. Is there an option to modify my usb drives to so xpenolody can detect them as a regular violume2, 3 and so on. Thanks. I don't think that's possible with USB. You can make that with esata. maybe you can use the (internal) cdrom/dvd connector with a adapter for a hdd? It is dangerous to store photos on external drive. 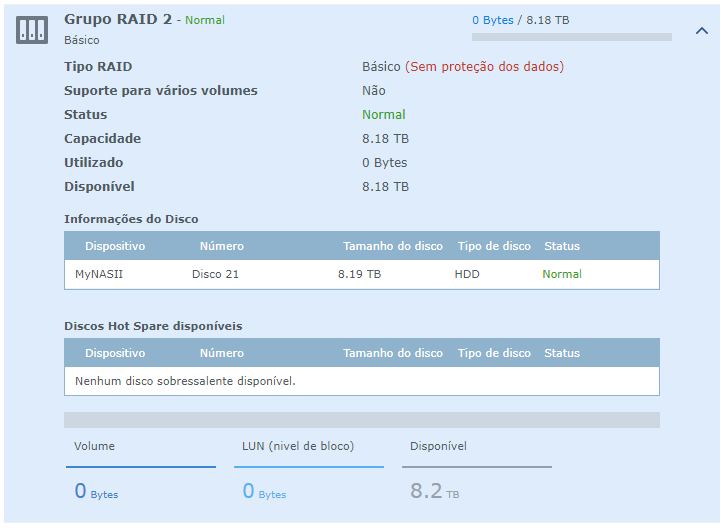 I had to reboot the NAS but it worked great for me! My external enclosure with two SATA disks in JBOD mode is now the internal disk 21.
these is my configuration now..
0000 0000 1111 1111 1111 1111 1111 1111 internalportcfg "0xffffff"
1111 1111 0000 0000 0000 0000 0000 0000 usbportcfg "0xFF000000"
0000 0000 0000 0000 0000 0000 0000 0000 esataportcfg "0x00000000"
Be aware that some version upgrades of DSM will overwrite your edited synoinfo.conf and reset it to 12 drives and the default esata/usb, which will make any volume with > 12 drives crash and your extended (disk 21) drive will disappear. After that upgrade you will need to re-edit the synoinfo.conf for your settings and repair volumes, but your extended disks will probably reappear ok.
Tks sbv300. I will simulate the change by going back the synoinfo.conf to its default and see what happens with the disk.